Pearl Jam Twenty DVD release date was set for October 24, 2011. One of the pioneering bands of 90's Seattle grunge rock is Pearl Jam. 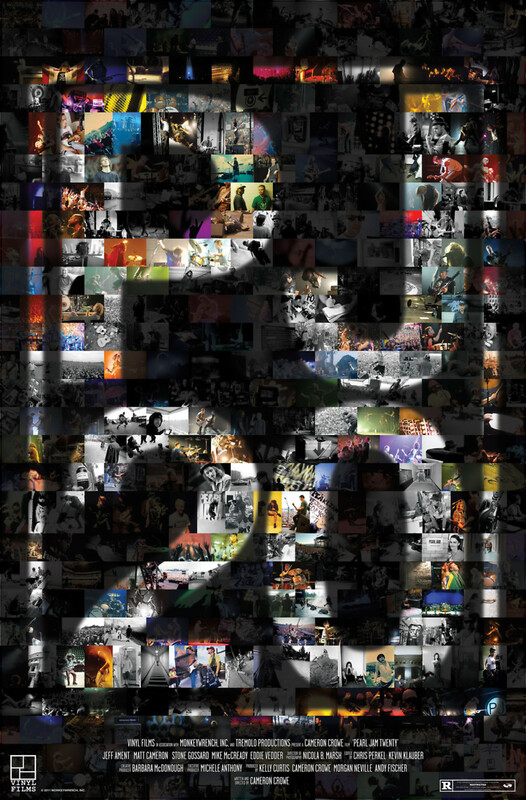 The 2011 documentary (or rockumentary), Pearl Jam Twenty, commemorates the 20th anniversary of the original members, Eddie Vedder, Stone Gossard, Jeff Ament, and Mike Cready's release of their first album entitled, Ten. Directed by musical journalist and longtime friend, Cameron Crowe (who also included the band in his cast and soundtrack for the movie Singles), the film includes early, very rare footage from before the band was created, their formation, their ascension to rock gods, their voluntary step down from the spotlight and where the band is now. Mixed in with this are key performances throughout their career and interviews from the band members that range from the early 90s to 2011.